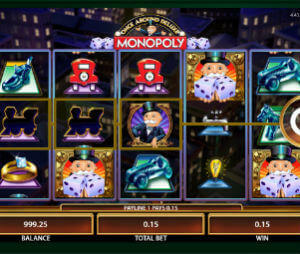 Every now and then casino software developers release a history-based online slot. Sometimes they fail in satisfying the customers (Red Baron Hmm… hmm…), but sometimes they really go all the way and invest a lot in the slot’s design and performance so the result becomes worthy of attention. Such is the case with a recent release from Elk Studios entitled the Poltava slot, or by its full name, Poltava Flames of War. The Battle of Poltava fought in the 18th century between the armies of Sweden and Russia was the inspiration for a 5-reel, 40-payline slot that succeeds in capturing the dark and chaotic atmosphere of an epic battle. It provides epic wins as well. Actually, Poltava is the highest paying Elk Studios slot so far, with 96.4% RTP. It’s not the loosest slot game you can find only, but still very solid. At first sight, Poltava looks like it respects standard slot session outlines, but the truth is it benefits from a lot of authentic gameplay elements that should be pointed out. The reels grid consists of 5 reels and 4 rows of symbols. You will encounter a few other modes apart from the regular gameplay, and they are referred to as betting strategies. There is an Optimizer, Jumper, Leveller and Booster strategy and every one operates like a pattern of increasing or decreasing the size of your bet basing these actions on certain parameters. Poltava appears to be very adaptable to the player’s style of gambling. As for the symbols, most of them are playing card icons, Ten to Ace. There are three theme-related symbols – a soldier, a war horse and a canon – which represent infantry, cavalry and artillery, respectively. The lion symbol is a Bonus icon that turns into sticky Wilds and triggers one of the features discussed in the following section, and the game’s logo acts as the substituting Wild. To be able to interpret bonus features in Poltava slot machine you should know there is a Normal mode where Marching Reels feature is enabled, and a Bonus mode which has a Flames of War Free Spins feature available. Any of the three combat symbols has the power to trigger the Marching Reels feature, providing four of it appear on the reels. The Army starts to regroup and move to complete a formation resulting in a re-spin. There is a possibility of repeating the process an extending the feature as long as more infantry, cavalry or artillery symbols keep appearing. When in Bonus Mode, the lion symbol turns into sticky Wild if you land three of them, and proceeds to trigger the Flames of War feature awarding you with 3 free spins. We find Poltava video slot to have many advantages. First, there’s an interesting theme, a quite magnificently reenacted historical event. The subject is supported by detailed graphics and the interface is convenient, easy on the eyes. There’s more than one original gameplay element and a wide range of betting strategies to suit every player’s personal style. In the end, the RTP is above 96% which is a big reason on its own to saddle up and ride into battle.